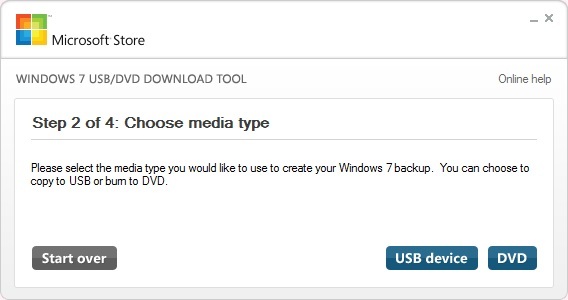 Windows 10 is already available to download from its official Microsoft website, but incase if you don’t have DVD Drive attached to your PC or Laptop there is another option to Install Windows 10 through USB. But simply copying the Windows 10 ISO file or Windows 10 Files on to the USB drive will not allow you to install Windows 10 on PC as you will need to make the USB Drive Bootable and for that you will need to follow the entire step by step process to create Windows 10 Bootable USB. Once the Windows 10 Technical Preview ISO file gets downloaded on your PC, download and install a small software utility called “Windows USB/DVD Download Tool” which allows you to create bootable USB by clicking here. 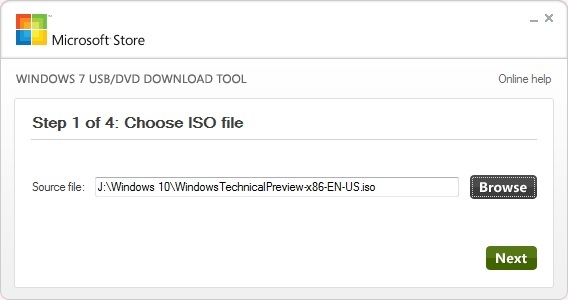 Just run the program installed called Windows USB/DVD Download Tool, and choose the ISO file of Windows 10 Technical Preview by clicking on browse. 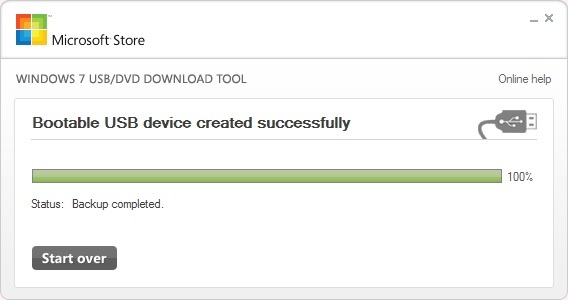 And then click on Next button, next screen will prompt you to select the media select USB device. And the next screen will ask you to select proper USB device from the list (make sure you have plugged in the USB drive). 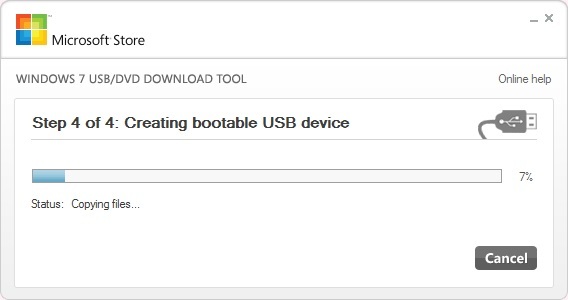 And once you select the proper USB Drive click on begin copying, if there is not enough space in the USB drive it will prompt you to erase the USB drive and it will start creating bootable USB device which will take few minutes and once the process completes it will show Bootable USB device created successfully message. And then you can use this USB Device to Install Windows 10 by booting your PC. 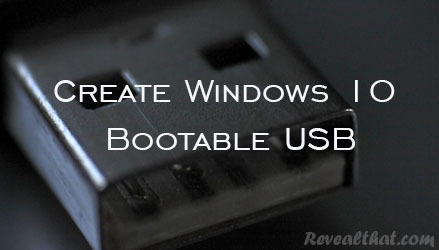 This method to create Windows 10 Bootable USB doesn’t require any software, you just need to plug in your USB drive and type in some commands and there you will having your Bootable USB Ready to use. 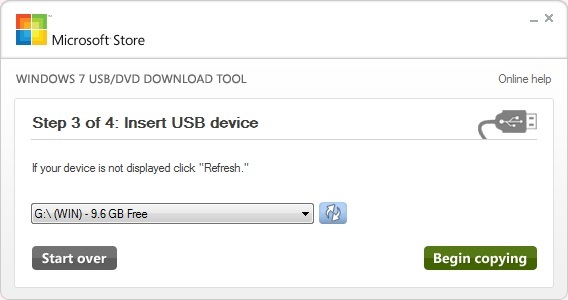 Plugin in USB Drive to your PC. Open Command Prompt window with administrative rights. Type “diskpart” and once diskpart command loads type “list disk” it will list out all connected drives on your computer, select your USB drive from the list by identifying the disk space and to select type “select disk 5” in my case the the USB drive was 5 so I selected 5. After selecting the disk type “clean” this command will erase the files from the USB drive. Type “Create Partition Primary” this will create primary partition. After creating primary partition type “select partition 1” to select the created partition. Type “Active” to make the selected partition active. Type “format fs=ntfs quick” this will format the USB drive. Type “Assign” this will assign a drive letter to the USB drive. Now you will have to copy all the files from the Windows 10 ISO File to extract the files from ISO use WinRAR Software. After extracting the ISO file just copy all the files onto the USB drive. And then you can boot from USB drive and start installing Windows 10 on your PC or Laptop.